Welcome to 2013! 2012, was a busy year here at the CPU Shack Museum. We added 716 new processors/EPROMs/MCUs, which works out to an average of 2 new chips per day. This includes 16 New in Box Processors. We also added 53 new Graphics Processors, which isn’t bad for something we only collect on the side. 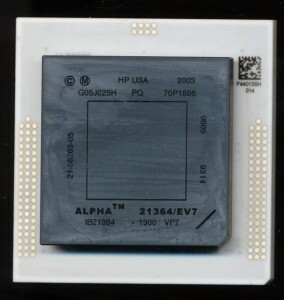 Here is a HP/Compaq 21364 1300MHz, this was the end of the road for the DEC Alpha architecture. It was killed off in favor of the Itanium, for better or for worse. Going back in time further is this East German (MME) 80A CPU, a clone of the Zilog Z80 made in 1991 (copied before unification, produced after, for this example). Its always neat to see the white ceramic package, even well into the 1990’s. 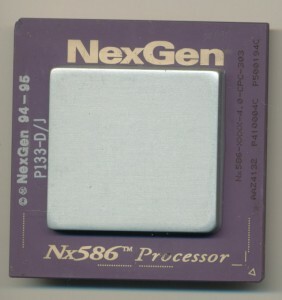 NexGen was a company that became victim of the wild processor wars of the 1990’s. It was bought out by AMD which used its designs as the basis of the very popular and successful AMD K6. Here is a very uncommon 133 (rated) without FPU. Later they made a version with an integrated FPU. 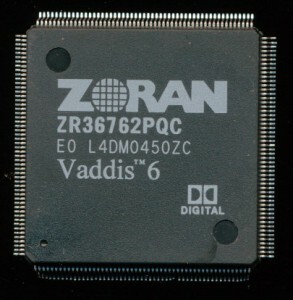 And to get all the way to ‘Z’ we shall go to the Zoran ZR36762. Its a DVD controller SoC, with Dolby Digital support. 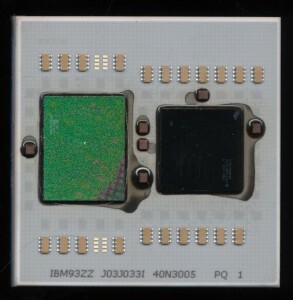 Not something one sees and thinks of as a processor. 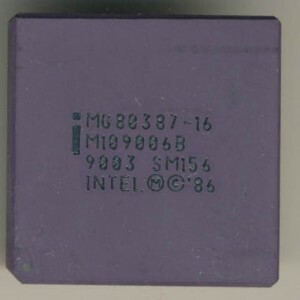 However at its core, even in 2004, it is not an ARM, its not a MIPs, its a high speed (67MHz) Turbo186, the same 186 architecture Intel released in 1982, still being used, albeit in CMOS. In the next few days I’ll post some EPROM highlights, then some GPU highlights. 2013 is already off to a great start with new chips coming in each week.